Evacuees at Snow Hill Train Station. BAH: WW2 Home Front/Box 2/Print 15. The press were critical of the fact that more children weren't evacuated. BAH: MS 396/11. 30,000 children were evacuated from Birmingham and the immediate area and schools closed until further notice. 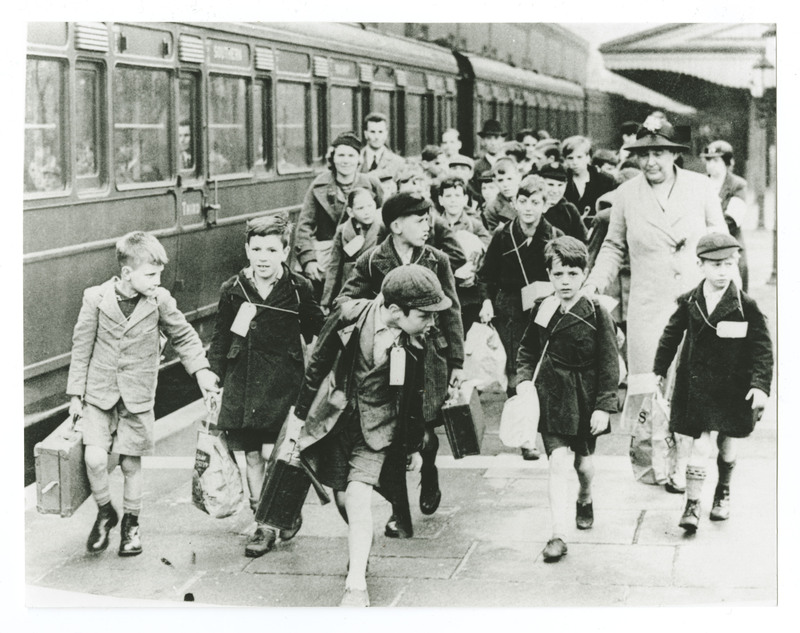 However, the Birmingham Post ran an article on the 2nd September 1939, a day after the evacuations, arguing that a further 40,000 children should also have been evacuated. A notice for the Parents of Evacuees. BAH: S157/1/9. However the onset of the “Phoney War”, a period with no major ground offensives between the warring countries until May 1940, meant that the first raid to target Birmingham was not until the 8th August 1940. 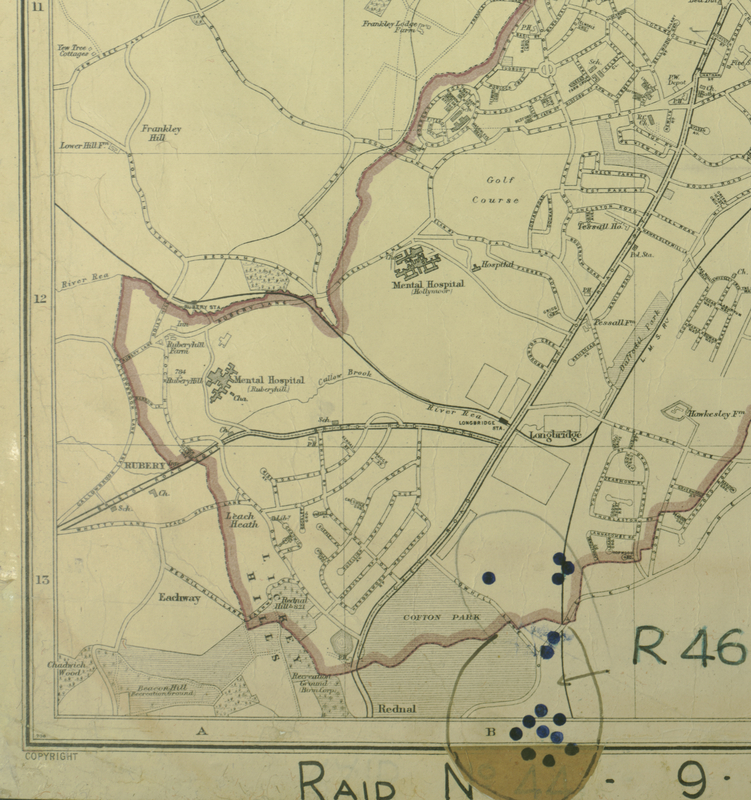 By the end of September 1940 the Education Committee extended the evacuation area in consequence of bombing raids. 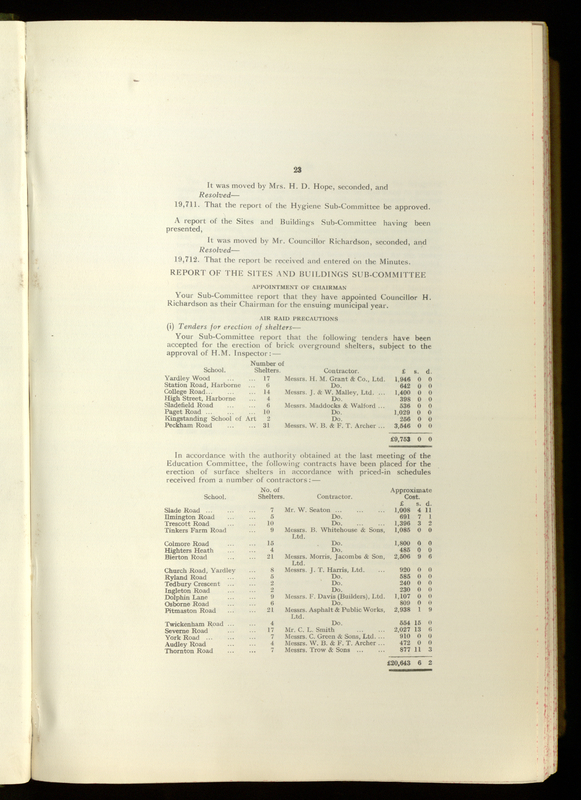 [Education Committee Minutes 27.9.1940 BCC 1/BH/1/1/1/38]. 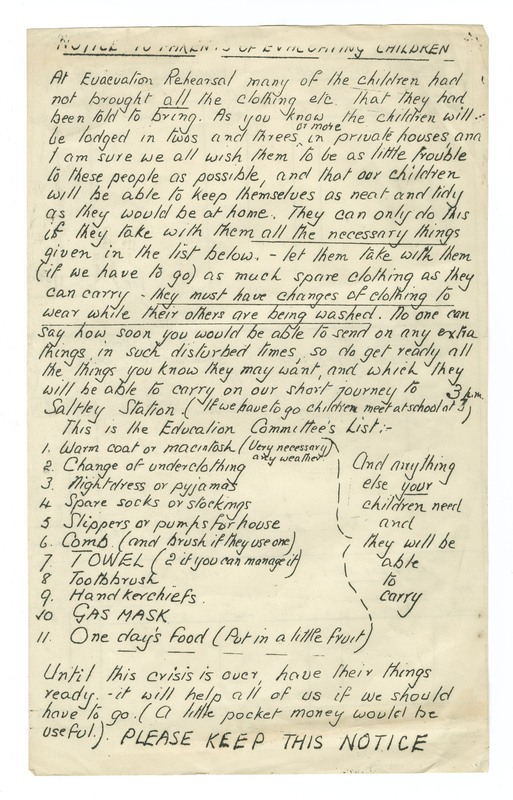 The movement of many children during the evacuation meant that Floodgate Street School was closed for the duration of the Second World War. However, as will be seen in the next blog post, Tinkers Farm re-opened and provides a great insight into schooling during the war.